One day I realized something I had never considered before: my story had nothing to do with anyone else’s. It was between me and God, dependent on His character and my own faith that He would take care of my heart issues in His timing (whether or not I understood or liked it!) Inspired, I wrote out a bunch of Scriptures on index cards and taped them to my bedroom mirror. When I started to get down, I’d walk to that mirror and remind myself of God’s promises and faithfulness, despite my feelings at the time. That helped so much. Instead of fighting off discouraged feelings with powerless ideas (non-Biblical ones, I might add, like When you don’t want it, that’s when it comes! or other such nonsense well-meaning people would say), I fought feelings with truth. And the more I read those Scriptures aloud, the more I began to truly believe them. Even so, one day I was especially disheartened. My dreams seemed so far away and out of reach. So I decided to do something to show my faith was bigger than my doubts: I wrote a letter to my children. (Yes, the ones I was still hoping to have one day. : ) I explained to them that I knew what it was like to have to fight for a dream, to have to believe when it looks like nothing is changing. I reminded them that the fact that they were reading this letter proved the faithfulness of God. Apparently, I had met and married their father just as I’d hoped and prayed for all those years. I then put that letter in my memory box, to save for them. Why did I share this story today? 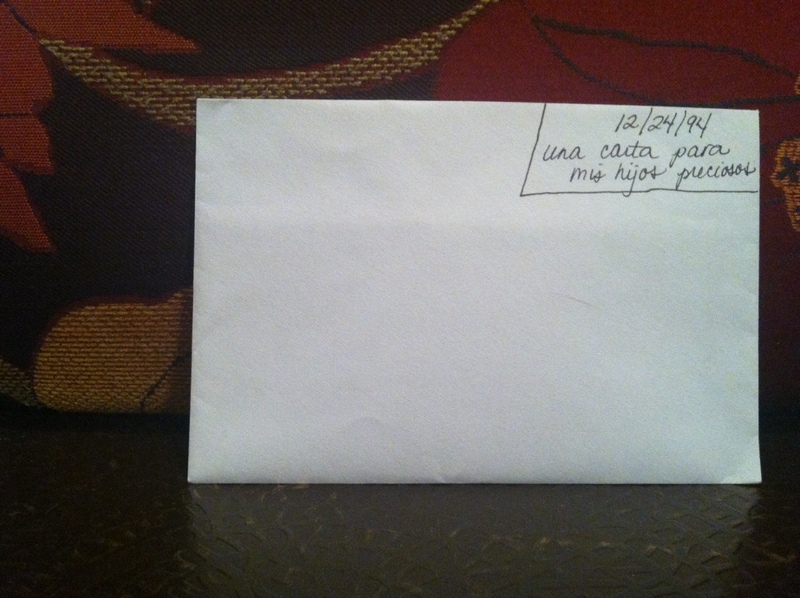 Because I happened to notice the date on the outside of the envelope…I had written it on Christmas Eve. And I was reminded that for some of you, the holidays are completely fun, festive, and full of joy! That’s awesome! But for others, the next few weeks may be filled with painful reminders that your dreams are still on the way. Please take heart that your dreams are on the way! They are very special to God’s heart as you walk out His plan for your life. God cares about the anguish of your soul, and He will perfect that which concerns you! I pray that as you spend some special time in His presence this season (worshiping, reading His Word, and praying), you’ll receive all the love, peace, and strength you need to not only get through the holiday season, but actually enjoy it! Love you much! You are in my prayers! ← NewReleaseTuesday Author of the Month!